At Polar Shades, our window shades come in a wide variety of colors, fabrics, textures, and styles to suit any home’s design and decor. But when you are selecting your window shades, another factor to take into consideration is the openness factor. What Is the Openness Factor? The openness factor on a window shade refers to how tightly the fabric is woven. The tighter the weave, the more sunlight it blocks. Conversely, a looser weave will allow more sunlight to come in through the window. The openness factor is expressed using a percentage, with lower numbers representing a higher level of opacity. For example, a window shade with a 1% openness factor will provide more shade than one with a 5% openness factor. The most common openness factors are 1%, 3% and 5%, but can occasionally go higher. Window shades in the 0% to 1% range have a low openness factor. Because they block more sun from coming in, they offer the highest levels of privacy. They are a good choice for people looking to maximize their home’s energy efficiency – the more sun you keep out, the more heat you keep out, which prevents your A/C unit from having to work as hard. This is also ideal for rooms where you want less light, like the bedroom. High openness factor is generally above 10%. 5% would be the most common, but some may go up to 10% or even as high as 32% in rare cases. These significantly reduce the sun’s glare in your home while also allowing for great visibility. This is the perfect choice when you want to preserve the view out of a window or allow plenty of natural light into a space. But more light means more heat, which means more work for your A/C unit and a higher energy bill. 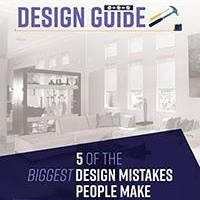 5% is the typical medium openness factor. These shades offer a balance between the benefits of low and high openness factors. They provide protection from the sun’s UV rays without making the room too dark. 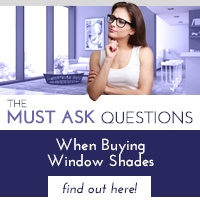 If you’re having trouble choosing an openness factor for your window shades, the good news is you don’t have to pick. Some people choose to a Duo Shade installed, so they can enjoy the dual functionality of two fabrics for the same window. Soak in the beautiful view whenever you want with a high openness fabric. And then, when you want to enjoy a bit more privacy and shade, all you have to do is change to the other shade. This is a particularly great option for bedrooms. A shade with high or medium openness factor is perfect to let light in during the day, and a low openness factor shade, such as a blackout shade, is ideal for when you’re sleeping. This dual functionality brings you the best of both worlds, so you can achieve the optimum amount of natural light, no matter the time of day. 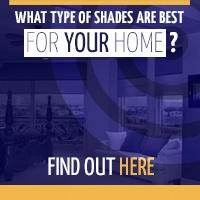 Need help choosing the best openness factor for your window shades? 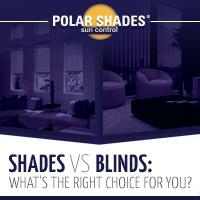 Contact Polar Shades today at 877-260-6110 to speak with one of our design specialists.